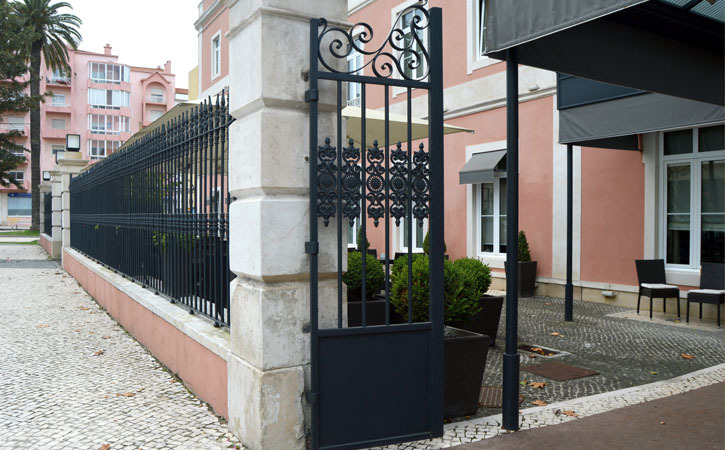 Situated opposite to D. Carlos I Park and close to the “Queen“, the former Lisbonense Hotel nowadays presents a new look and a new name, SANA Silver Coast, passing the name “Lisbonense” to the Hotel bar. After a recent renovation, the original hotels’ gates were preserved (keeping entries – 1890 and VCAP). This takes us to other times when the Hotel was a luxurious “first water” in a land where the hot springs dictated the rules. Released in the late nineteenth century, the Hotel Lisbonense was the first hotel to win the I Contest – Hotels promoted by Sociedade Propaganda de Portugal (first national tourism promotion board) in 1908. The Lisbonense hosted some of the most distinctive personalities in Portuguese society back then. After decades where its prestige and glamor were seriously at risk, in 2011 it returned to the spotlight and to a rank it should never have lost, asserting itself again as an attraction and one of the most emblematic buildings of Caldas da Rainha. Whether to spend the night or only get in touch with history, do not forget to visit and contemplate the grandeur of this building. Take a closer look and discover the entries meaning at the original gate!